H2 (short for History 2) is an American digital cable and satellite television network that is owned by A+E Networks, which is operated as a joint venture between the Hearst Corporation and the Disney?ABC Television Group division of The Walt Disney Company. The channel carries historical and popular science documentaries as well as pseudo-scientific entertainment programs. H2 offers over 200 hours of original programming; the channel´s current program schedule consists of re-runs of documentary programming previously seen on sister channel History, primarily those from the mid-2000s onward. It also frequently features pseudo-documentaries and unsubstantiated and sensational "investigative" programming, but not the network´s reality series. The network launched in 1996 as History International (abbreviated as "HI" or variations on "H-INT"). 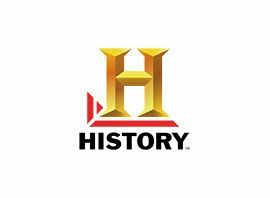 It originally focused mainly on programs and specials focusing on world history. History International occasionally featured shows in languages other than English, such as French or Spanish for use with the National Cable & Telecommunications Association´s Cable in the Classroom initiative. By 2010, this was reduced to an hour-long Spanish language program on weekday mornings titled El Canal de Historia (the English translation of The History Channel). On September 26, 2011, the network was rebranded as H2, with its programming being refocused to feature documentary content from sister network History prior to that network´s shift towards more reality programming, along with original programs (such as the special The Universe: Beyond the Big Bang and the first-run series America´s Book of Secrets), as well as exclusive new episodes of the former History series The Universe, Ancient Aliens and Modern Marvels, in addition to international-focused programming. H2 does not have plans to add reality series as its sister channel has done. Newer documentaries more recently seen on History migrated to the network as part of the rebrand, which will rotate with the documentaries from History International that primarily span from the mid-1990s to the mid-2000s.